'Can be safely named unique and can never quite lose its value.' Times Literary Supplement. 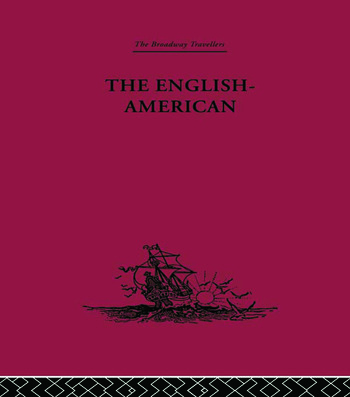 The publication in 1648 of the first authentic account of the provinces of New Spain and Central America by a well-known and educated Englishman excited widespread interest, and The English-American found many readers even though the country was in the midst of revolution. It played an important part in reviving the anti-Spanish policy of Elizabeth and describes at first hand a stage of American society that was virtually unknown. A. P. Newton's introduction places the book against the background of its time, which is vital in order to understand many of Thomas Gage's allusions. Although abridged from the original, the full chapter headings of the First Edition and the original numbering have been preserved.